Ink monochrome paintings are central to the Chinese landscape tradition but the exclusive use of ink in such a large, simplified landscape is striking, and its density is varied to great effect. 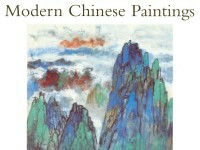 In the early 1970s Shi Lu painted several landscapes of Mount Hua in Shaanxi province, one of China's great mountains; Chang'an is the classical name for Xi'an in the same province, where Shi Lu was a leading member of the group of painters known as the Xi'an School. Shi Lu took up his name at the age of 21 from the Qing painter Shi Tao and the contemporary writer Lu Xun, having renounced his landowning literati background. His reputation as an artist is that of eccentric genius. He was a leading member of the group of painters known as the Xi’an School in Shaanxi province. In the Cultural Revolution he was tortured and suffered greatly from psychiatric problems. In the early 1970s. 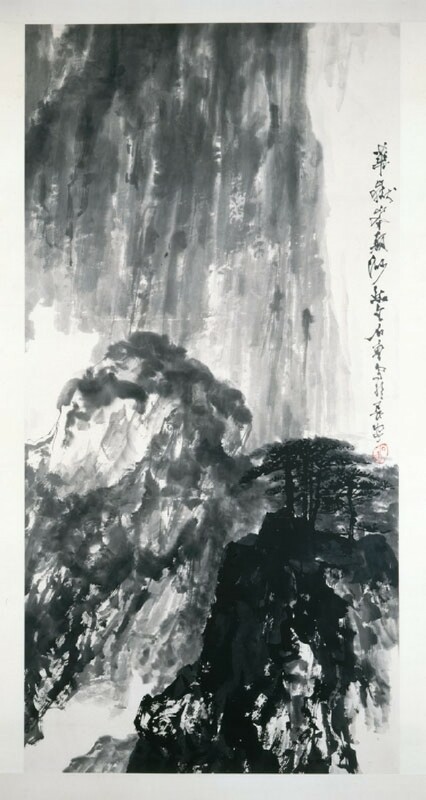 Shi painted several landscape scenes of Mount Hua, such as the one on display here.